For the most delicate towing needs, Albuquerque Wrecker Service offers flatbed towing to ensure that your luxury car or vintage automobile does not experience any wear and tear, or sustain any damage during the towing process. With a traditional tow truck, your vehicle will experience each and every one of the potholes or bumps in the road that your tow truck operator drives over. This simply can’t be avoided. Unfortunately, these potholes and bumps can affect the alignment or suspension of your vehicle, and cause other repair problems that can be rather costly. We provide flatbed trucks to ensure our customers have a safer alternative for moving their vehicle when some type of towing service is needed. Our professional tow truck driver technicians treat each of the vehicles they handle with great respect and care. After all, your vehicle is one of your highly valuable assets, and we know that you expect us to transport your car, truck, or motorcycle for you in a way that has no negative effects on your vehicle. We know how stressful roadside emergencies or accidents can be, so we want to offer you a sense of protection, safety, and security in those situations. And, we know that moving a highly valued car or truck for a move or a show can just as stressful. We strive to ensure that when you work with our towing company you will have a positive experience each and every time. Owners of vintage cars are often very discerning when it comes to the treatment and care of their beautiful cars. Many of these prized automobiles are one of a kind. They have been painstakingly restored and maintained throughout the years, and they require special attention whenever they are being towed or transported. At Albuquerque Tow Truck Service, we offer flatbed towing as a way to make sure that customers always have a really safe option for transporting their vehicles. Whether it is a heavy-duty truck, vintage car, exotic car or motorcycle, when you need towing or roadside assistance, let our first-class towing company be your first call. We take care of our customers and their vehicles, and guarantee that we’ll make every effort to assist our customers in any situation we can. 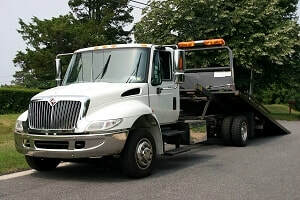 We are a licensed and highly professional tow truck operation in Albuquerque and we take pride in our impeccable reputation among customers. Please give us a call for any of your flatbed towing needs. You have taken impeccable care of your car over the years, so why entrust your prized possession to just anyone when it comes to towing or transport? One act of carelessness could cause unnecessary wear and tear, or even damage, to your beautiful vehicle. If you need assistance relocating a luxury vehicle, towing it to an auto repair shop, or transporting it to a show, Albuquerque Towing Service is who you need to call. We are a licensed towing company with many years of experience assisting all types of drivers throughout Albuquerque, NM and the surrounding areas. We offer our customers the option of flatbed towing for their vehicle to ensure optimal safety during transport. Flatbed towing service provides a much more gentle way to tow a vehicle from one place to another. Whether you have been involved in an accident, you need a few repairs done, or you wish to have your car transported to a car show in the area, we can help. Call and let us know your towing needs and we will send you a flatbed tow truck right away if you need one.